TFS 2010 provides an excellent mechanism to build, deploy and test in an automated fashion. 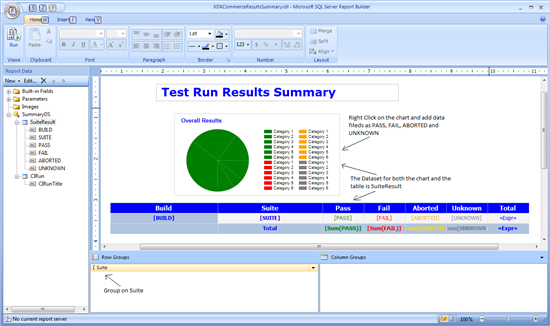 Default reports are provided and can be seen in the reports section of Team Explorer. However, the default reports will not necessarily serve all your reporting needs. You can develop custom reports using the TFS_Warehouse database. However, it’s recommended that you don’t refer to the database directly since then the reports could not be viewed by everyone. Instead, refer to the shared connection TFS2010ReportDS which can be found under http://<server_name>/ReportServer. Download and install the Report Builder from http://www.microsoft.com/downloads/en/details.aspx?FamilyID=9f783224-9871-4eea-b1d5-f3140a253db6&displaylang=en.